Wiley. PAPERBACK. 1118458346 Brand new book.Buy with confidence. Money Back Guarantee.Expedite Shipping Available. International shipment available. . New. 2000-09-02. New. Ships with Tracking Number! INTERNATIONAL WORLDWIDE Shipping available. Buy with confidence, excellent customer service! 1991-08-04. New. Ships with Tracking Number! INTERNATIONAL WORLDWIDE Shipping available. Buy with confidence, excellent customer service! John Wiley & Sons. PAPERBACK. 1118458346 Like New Condition. . Fine. John Wiley & Sons. PAPERBACK. 1118458346 New Condition. . New. Wiley. Good. 2008. Paperback. 0470087811 . Fourth Edition. This book is in good condition; no remainder marks. The book has some shelfwear, edgewear, light corner creasing. Inside pages are clean. ; 10.90 X 8.50 X 1.20 inches; 480 pages . 2014-01-08. Good. Ships with Tracking Number! INTERNATIONAL WORLDWIDE Shipping available. May not contain Access Codes or Supplements. May be ex-library. Shipping & Handling by region. Buy with confidence, excellent customer service! Wiley. PAPERBACK. 0470087811 New Condition. . New. VAN NOSTRAND REINHOLD COMPANY. PAPERBACK. 0442215320 New Condition. . New. Van Nostrand Reinhold/co Wiley. Hardcover. 0442215339 New Condition. . New. 1975-07-09. Good. Ships with Tracking Number! INTERNATIONAL WORLDWIDE Shipping available. May not contain Access Codes or Supplements. May be ex-library. Shipping & Handling by region. Buy with confidence, excellent customer service! JOHN WILEY & SONS LTD. New. 2008-08-01. Good. Ships with Tracking Number! INTERNATIONAL WORLDWIDE Shipping available. May not contain Access Codes or Supplements. May be ex-library. Shipping & Handling by region. Buy with confidence, excellent customer service! JOHN WILEY & SONS LTD. New. Very good condition. Wiley. PAPERBACK. 0470087811 Like New Condition. . Fine. 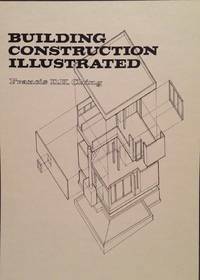 Van Nostrand Reinhold/co Wiley. Hardcover. 0442215339 Like New Condition. . Fine. New York, New York, U.S.A.: Van Nostrand Reinhold. 1975. Folio - over 12" - 15" tall. First edition / 1st Printing. H Hard Cover. Good. First edition / First printing. Good to very good, no dust jacket, Corners lightly bumped, light soiling to covers. 28 x 35. hard cover. Approx. 225pp. Wiley. Used - Good. 5th Edition. Used books are NOT guaranteed to contain components and/or supplements such as: Access Codes or working CD's/DVD's! Ships fast! Expedited shipping 2-4 business days; Standard shipping 7-14 business days. Ships from USA! Seller: BBA Texas Enterprises Inc.